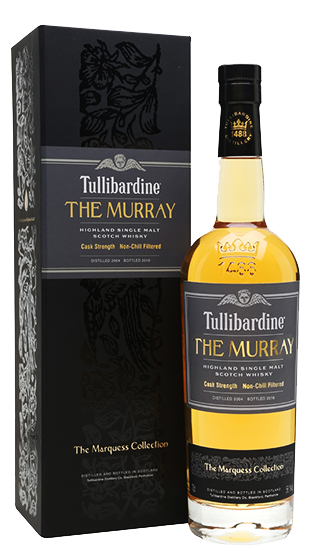 Tasting Note: The first release from Tullibardine's new 'Marquess Collection', The Murray is named after William Murray, Marquess of Tullibardine. A cask-strength release, distilled in 2004 and rbottled in 2016. The nose has notes of strawberry, pastry and cereal notes with a herbal oak hint. On the palate there is plenty of cereal notes with orchard fruits. The finish has a spicy hint of peppercorns and orange blossoms.